So, what’s all the hype with this massive aircraft? Other than the fact that it’s the largest airplane in the world, by wingspan, why is it important? The latest news about the Stratolaunch was just published on October 18, 2018 and we’re definitely intrigued. In a statement from a recent taxi-test, Stratolaunch Systems ran the aircraft to a maximum speed of 90 mph which is the fastest it has gone yet! 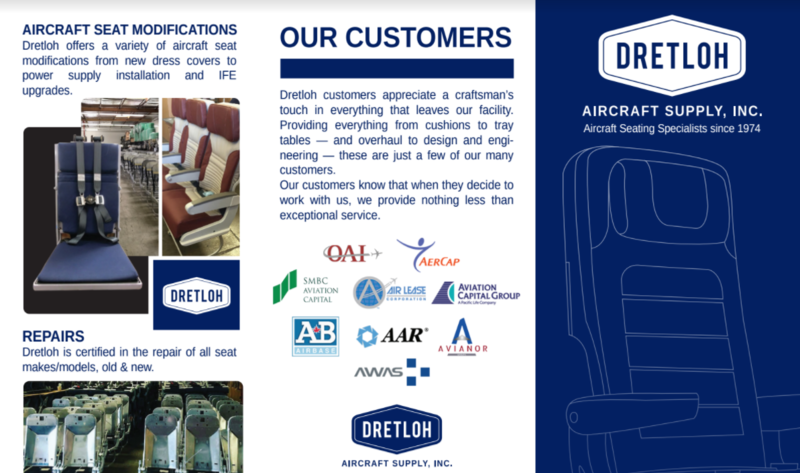 Our team at Dretloh were following along back in early 2018 and shared this post with our readers regarding the build of the Stratolaunch aircraft. The best way to explain the massive aircraft’s size to anyone in or outside the aviation industry is: if you park it next to a Boeing 747-400, the 747 would look like a toy airplane in comparison [see photo below for sizing]. In perspective, the massive flying machine has a wingspan longer than an entire football field plus the end zones and more. The catamaran-style aircraft with twin- or dual-fuselage was built to fly a half-million-pound rocket ship to normal cruising altitude and then drop it, whereby the rocket would ignite its engines and take off into outer space. In 2004, the aerospace engineer and designer Burt Rutan, made international headlines with SpaceShipOne. The aircraft was the world’s first privately-built, non-governmental manned spacecraft to make a successful sub-orbital spaceflight. The aircraft was fully-funded by Microsoft co-founder Paul Allen and the $10 million Ansari X-Prize. The dream behind the extraordinary aircraft would be to enable easy ground and space transfers, making access to space no more exotic or unobtainable than a Miami-to-Orlando commuter flight. Space travel for all! Stratolaunch Systems: “The innovative dual fuselage and high-wing design allow launch vehicles to release from the aircraft centerline and below the wing for a much safer deployment.” (2) The Stratolaunch uses the equivalent of two Boeing 747-400s to carry a Falcon 9-derivative rocket up to altitude 30,000-35,000 feet for launch into low Earth orbit. Everything about the Stratolaunch is massive. It is equipped with six Pratt & Whitney turbofan engines, salvaged from three 747s and has a maximum takeoff weight of 1.3 million pounds. The aircraft requires 80 miles of wiring and a whopping 385-foot wingspan. What do you think? Would you take this massive flying machine into space?